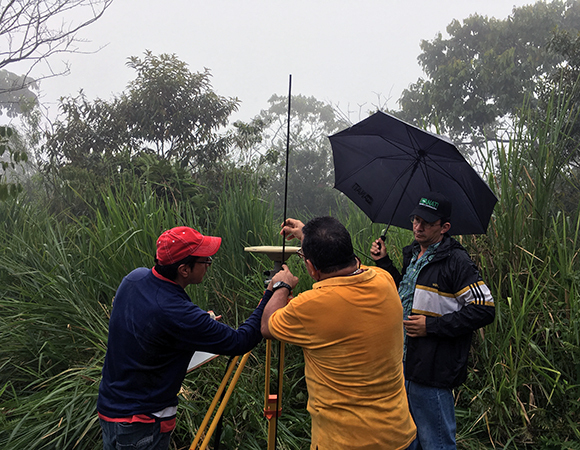 Over two and a half weeks in June 2017, graduate student Gorki Ruiz from The Pennsylvania State University (PSU), Omar Espinoza and Javier Cornejo from Instituto Geografico Nacional "Tommy Guardia" - Departamento de Geodesia, and Mike Fend from UNAVCO traveled throughout much of Panama to collect episodic GPS data (eGPS) and service previously installed continuous GPS sites (cGPS). This was part of an ongoing project (PI Peter La Femina (PSU)) to investigate the complex interactions between the Caribbean, Cocos, and Nazca plates. Collaboration with the Instituto de Geociencias at the Universidad de Panama (IGC) was essential to the success of the eGPS campaign. During this trip, the team visited eight cGPS sites, and occupied eight eGPS sites (six pins and two benchmarks). This took 18 days and over 2,100 km of driving! This recent field excursion to Panama builds on previous work from 2011 when Brendan Hodge (UNAVCO), Peter La Femina (PSU), and IGC staff installed five continuous GPS sites as part of a National Science Foundation Early CAREER award to La Femina. Additionally, between 2011 and 2013, six threaded geodetic pins were installed and occupied with campaign GPS equipment. In recent years, collaboration between UNAVCO/PSU and ANATI has increased significantly, benefitting all parties, with future work on the horizon. 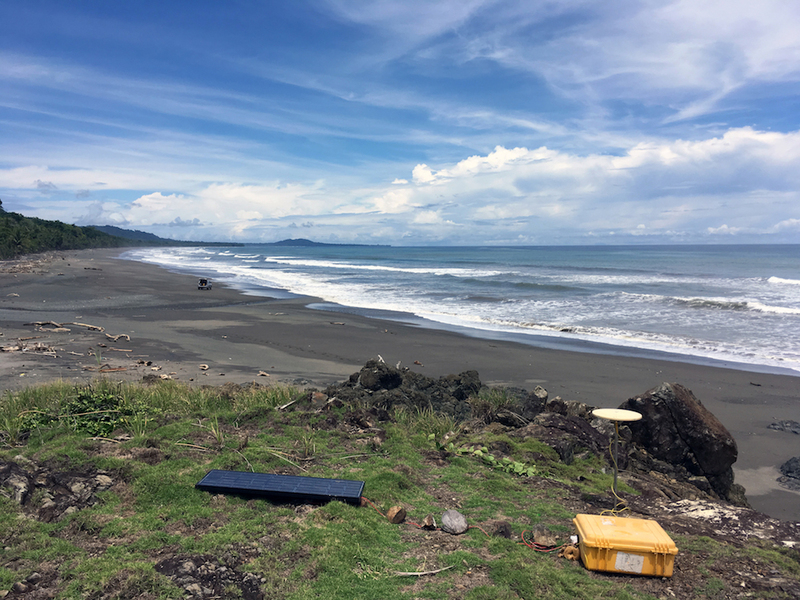 ANATI, the surveying and mapping agency of Panama, has more sites to reoccupy in the case of a seismic event, and UNAVCO/PSU will have continued access to GPS data after the project comes to a close. Collaborations like these are vital for the continuation of geodetic research in the region. In addition to visiting PSU GPS sites, vital maintenance was performed on COCONet sites CN33 and CN28. Installation of underground piping caused the structure hosting the geodetic antenna monument for station CN33, in Penonome, to tilt. The subtle tilt of the structure was captured by the GPS observations and ultimately corrupted these data. Reconnaissance for a replacement station was performed in the nearby city of Aguadulce, and it is probable that station CN33 will be renamed and relocated in the fall of 2017. A visit to CN28 revealed failure of the gateway antenna cable due to heat and humidity. 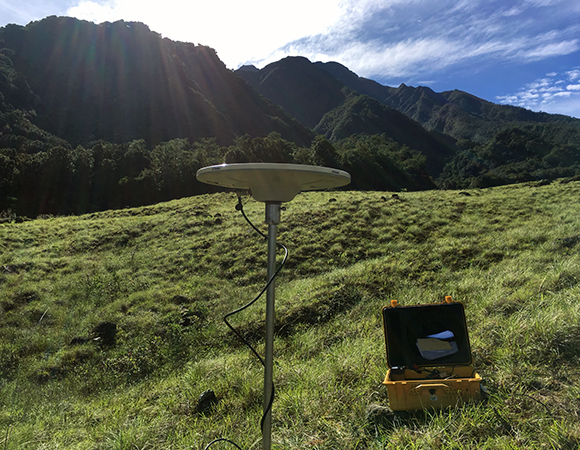 The station was repaired, but this is one example of the harsh conditions COCONet GPS equipment has to endure and how continual maintenance is needed to keep data flowing.